Now where else if not Tokyo could you expect to find specially themed Halloween donuts in September? The return of Krispy Skremes… starring Caramel Halloween Jack, Orange Chocolate Spider and Purple Potato Mont Blanc donuts is available in Tokyo stores from September 11th – October 31st. 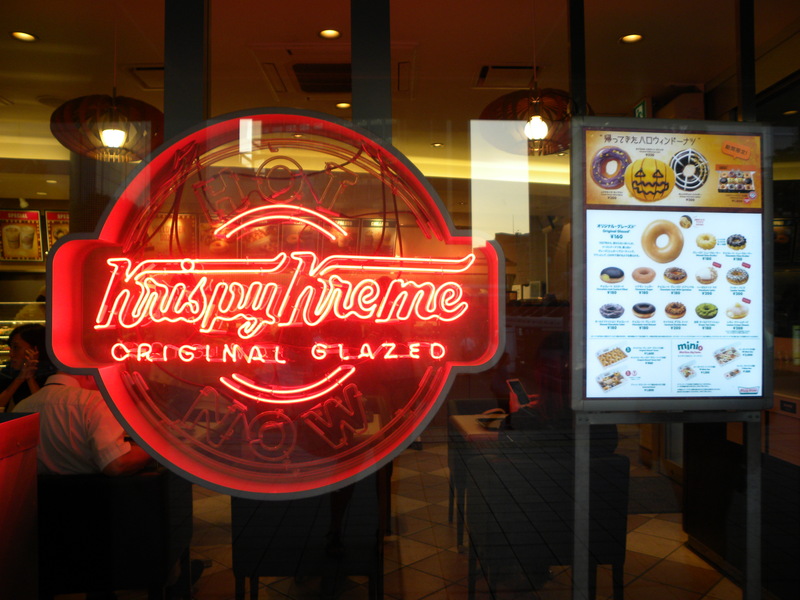 This entry was posted in Culture, Dessert, Food, Tokyo and tagged クリスピー・クリーム, ドーナツ, Culture, Dessert, Donuts, Food, Krispy Kreme, Tokyo by linneabylinneanilsson. Bookmark the permalink. This is not for the fainthearted, I dare say! I bet they taste just as scary. I don’t suppose it’s any worse than shops here having been filled with Christmas stuff for the past month. Besides such donuts should surely be enjoyed over a longer period than one day.